Remote Teller functionality enables the delivery of self-service transactions and additionally the convenience of personal service on demand, where consumers require it. Our solution includes a far advanced set of self-service transactions that deliver 70% of traditional transactions. These include cash delivery and deposits (up to 200 notes), Check Deposits (up to 30 checks), not recycling and cash back on deposit transactions. Our live personal assistance is available at any point in a transaction and includes video and audio conferencing with complete remote “Teller” control greatly expanding transaction delivery capability. This capability with our “Human” core integration enables check cashing to the penny with validation thru ID scanning and consumer information. The MX8800SS is the self-service version of our advanced transaction delivery solution. It provides an expanded set of consumer transactions far beyond what the standard deposit automation ATM can deliver. The cash recycling technology allows for 4 denomination currency dispensing, reduced replenishment and note validation. The high 200 note deposit and dispense capacity makes this a viable solution for small businesses. The bunch check 30 note capacity envelopeless check accepting capability supported by our consolidation server enables easy check acceptance. The MX8800ASS enables the full capability of our advanced transaction delivery device. This remote personal service can be implemented on delivery or added to our solution when the institution is ready. The assisted self-service capability is enabled with our remove video conferencing and remove control technology. This technology allows for teller integrated transactions that are simple to implement and deliver personal service at a great value. 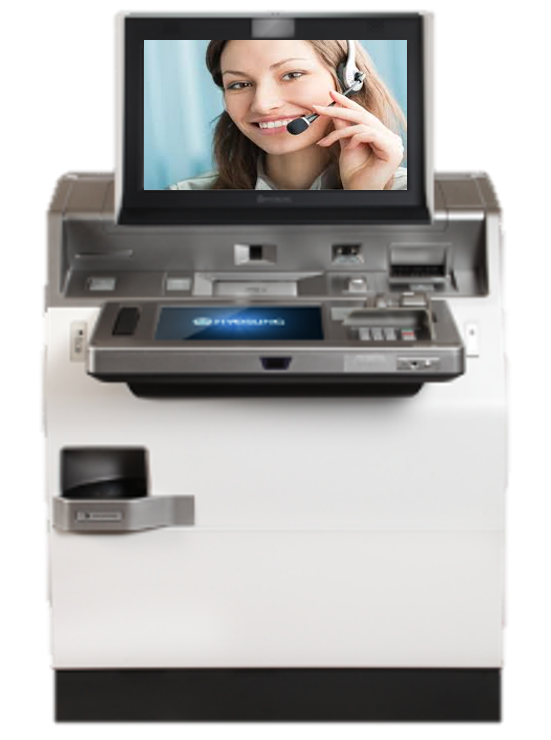 The MX8800 enables Branch Transformation by delivering transactions at a fraction of the cost of traditional branch and teller methods. This device deployed in an accessible branch location can expand consumer service hours and in a remote self-service location will deliver consumer convenience at a fraction of the traditional cost.